Today’s Gospel testifies to the reckless, unending mercy of the ever-so-generous Father and offers a profound declaration of who Jesus is. It is a call for repentance, new beginnings, and intimacy. The King of Kings feasts with the tax collectors who leave everything behind to be at the table with Him. It is the ultimate invitation to the broken. Yet, for weeks, this Gospel has created an undeniable knot in my stomach as I read the response of the Pharisee. With all honesty, I am always the first to write off the Pharisees in frustration of their constant misunderstanding and questioning of the Kingdom that Jesus was building in His ministry. But this time reading it, I cannot help but feel a stirring of empathy and compassion towards the guy who tried to spend his life doing what was right and true. In my own life, I have long walked in the path of the Pharisee, obsessed with striving and posturing. My mindset has remained that if I could just devote my life to upholding a squeaky clean reputation and moral compass, I could rightly earn a seat at the table. I have cultivated an identity of the entitled daughter where I subconsciously love Him with the expectation of being rewarded. However, Jesus shows favor towards the tax collectors, and I cannot help but feel the stinging of resentment and bitterness. The tax collectors spend their lives unconcerned with the law, yet in the instant they choose to leave everything behind and follow Him, all is forgiven. They celebrate by throwing a large banquet where the Pharisees cannot even partake as they complain to Jesus. In this, I come to know it is in my own righteousness that I am blinded from the realization that the love of Jesus is radical and transformative. It is my own entitlement that hinders me from knowing that Jesus calls us to encounter grace, not to make sense of it. My journey is not compared to that of my sister. His love stretches for us both. 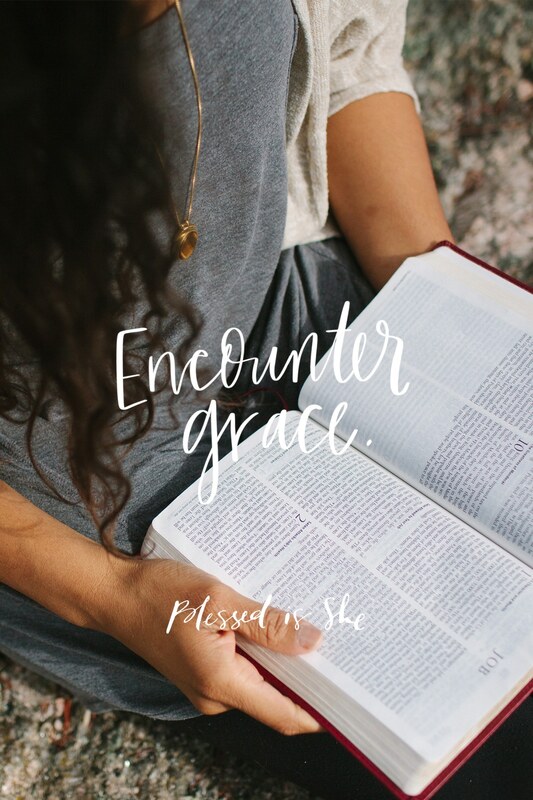 Jesus calls us to encounter grace, not to make sense of it. Father, may my own bitterness never block my capacity to be merciful and lighthearted towards those who were divinely created to sit in Heavenly places with You, in the same way that I was. Wow. I relate to this reflection so so much in the fact that I, too, strive for a perfect moral compass and probably sound like the Pharisees at times. I just discovered Blessed Is She and I think it’s a little funny that my name is Sarah, too! Have a blessed day! I needed to hear this so much today, thank you for the great reflection!